The Race for Quantum Technologies has started. Among those who are aware of Quantum Information Science (QIS), some call for caution, decrying a potential hype or even denying the possibility to ever see a fully multi-purpose quantum computer – a Universal Quantum Computer. Yet, as we have shown in the previous article, even though the time when a Universal Quantum Computer will exist may be relatively far away, even though there is indeed no absolute certainty such a computer will ever be created and then industrialised, the very existence of this possibility – even if it is remote – has already changed the world. It has triggered discoveries and evolution in other sub-fields of QIS – namely Quantum sensing and Metrology, Quantum Communication and Quantum simulations – and related usage that can be neither denied nor ignored. We are in the case of a possibly low probability high impact scenario that no one, and especially not security related actors be they public or private, can overlook. The imagined future Quantum AI world and the related race for quantum both feed into the race itself, giving it its momentum, accelerating and intensifying it through research and potential and actual usages. “Key Finding 7:…Although the feasibility of a large-scale quantum computer is not yet certain…. Quantum computing research has clear implications for national security. Even if the probability of creating a working quantum computer was low, given the interest and progress in this area, it seems likely this technology will be developed further by some nation-states. Thus, all nations must plan for a future of increased QC capability. The threat to current asymmetric cryptography is obvious and is driving efforts toward transitioning to post-quantum cryptography… But the national security implications transcend these issues. A larger, strategic question is about future economic and technological leadership….” National Academies of Sciences, Quantum Computing: Progress and Prospects – p. 7-20. As the race for Quantum is fully a component of both the emerging Quantum AI world and the very race itself, we must thus understand its dynamics, its characteristics, as well as its actors. The purpose of this article is thus to define the framework within which the Race to Quantum can be understood, to present an adequate tool to handle the multiple characteristics of this race, namely dynamic mapping – for mathematicians dynamic graphs – and to uncover parts of the dynamic map thus achieved as example of what is happening and what can be done to understand. Considering the scope of the race, this is work in progress, which furthermore needs to be permanently updated and necessitates sponsorship – for open publication – and/or commission for specific and private use, according to actors’ strategy. Do not hesitate to contact us. Here, as concrete examples of the dynamic map depicting the race to quantum, we shall present a first series of videos showing how the race unfolds between 1997 and 2028, considering some of the characteristics identified in the first section of this article, as necessary to understand the race to quantum. Each video is accompanied by a classical description of the corresponding part of the race, with the detailed sources used. The first mapping shown as a video (click on the link to access the mapping directly) focuses on the Netherlands, QuTech and QuSoft, to which is added the EU Quantum effort. Then, focusing on state actors, the second mapping will add Germany, the third the U.S. and the fourth China. To exemplify the importance of the private sector in the race to Quantum, the fifth mapping will then add IBM. Finally, the sixth and last mapping will add finance through the Vision Fund, still a potential actor in the race for Quantum Technologies. Each video notably shows how adding a new actor changes the outlook of the race. Meanwhile, the mapping tool used highlights the importance of using a proper visualisation so that our perceptions of the race reflect as adequately as possible what is happening to take informed decisions. Many other actors are part of the race from the UK to Singapore through Australia, Canada, France, Japan or Israel, to say nothing of other private companies from Google to Ali Baba, and will need to be included in the race before one can reach a conclusive analysis. Nonetheless, as the reader will discover, crucial elements of understanding are already made available by the six dynamic mappings presented below. The first way to look at the Race for Quantum is to try using what we could call a classical framework: identifying public funding. This is the approach that was taken by Freeke Heijman-te Paske, Ministry of Economic Affairs, Netherlands, “Global developments Quantum Technologies“, 8 May 2015 (then presented at the EU Flagship Launch in May 2016), as well as by a 2015 McKinsey document estimating annual spending on nonclassified quantum technology (the two show similar results, and it is impossible to know whom used the research of whom). Since then, the same figures have been used again and again by many, including by the NAS report quoted above: e.g. U.K. Government Office for Science, “The Quantum Age: Technological Opportunities”, 2016; Patrick Gill, “Here, There and Everywhere“, Technology Quarterly, The Economist, 1 March 2017; Crane et al., Assessment of the Future Economic Impact of Quantum Information Science, IDA, August 2017. However, the first problem with the Heijman-te Paske/McKinsey figures, is that we are unable to trace sources. Although we shall consider their figures accurate for the year 2015, nonetheless, it becomes impossible to update the estimates, when we are now a couple of years later. It is thus difficult to have a dynamic idea of the evolution of quantum funding when this is a crucial element for a race. Second, considering mainly public funding is fraught with difficulties as far as the quantum race is concerned. Indeed, any more in-depth inquiry in the Quantum World shows how much public and private efforts are intertwined. Thus, considering only one or the other effort may, at best, only provide a partial picture. Furthermore, the positive feedbacks between both cannot be depicted and highlighted by lump sums attributed to one country. To illustrate this point, let us take the example of the Netherlands’ Research Centre QuTech. QuTech dominates the field of quantum technologies in the Netherlands, and is more particularly focused on Quantum Computing and Quantum Internet. It was founded in 2013 by the Delft University of Technology (TU Delft) and the Netherlands Organization for Applied Scientific Research. In 2015, it received €146 million over 10 years ($168,6 million) from the government through what may be seen as a comprehensive framework for quantum research (Annual Report 2015 p. 7, 35). It was thus designed as a a public-private centre. Its main private and industrial partners are Intel and Microsoft. Intel announced a 10 years collaborative partnership in 2015 with a $50 million funding (Ibid.). Microsoft co-financed QuTech projects regularly (e.g. annual report 2015). 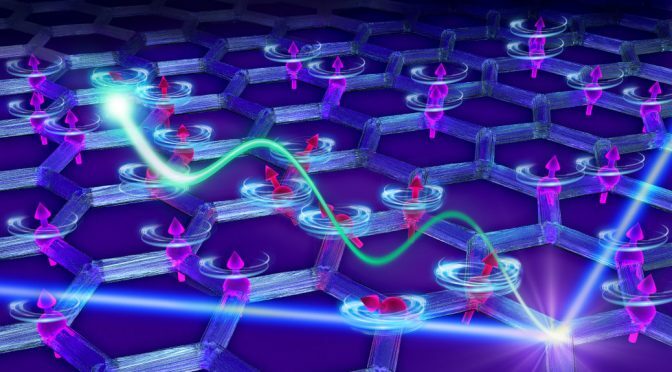 In 2018, the American firm established its own quantum research laboratory at TU Delft, Station Q Delft, and Microsoft and TU Delft’s quantum institute, QuTech, will be collaborating intensively on the development of topological qubits (QuTech News, 1 June 2018). Thus, should we keep a classical public funding framework, how would we classify QuTech? If we were looking at the Netherlands as a unit of analysis, should we consider only the $168,6 million over ten years, plus “usual” yearly funding in quantum research across the country? But then, how should we regard the private industrial involvement in QuTech, which is not only important in terms of funding, but also access to facilities, cross-fertilization of research and possibly practical output? Furthermore, other grants, awards and projects also contribute to fund QuTech’s research. For example, in late 2015, QuTech secured a five years funding from the American Intelligence Advanced Research Projects Activity (IARPA) “to develop an error-corrected 17-qubit superconducting circuit and the electronics and software to control it”, a project called LogiQ. This new activity, “launched in April 2016, is a partnership of QuTech with Zurich Instruments and ETH Zurich” (annual report 2015). Are we thus to count this funding as American, or are we to share it between the Netherlands and Switzerland? But if we choose the second option, then are we not losing some information as, at the end of the project, the U.S. also will benefit from the research funded? Using QuTech case as well as others, on the one hand, building upon the excellent International Conference on Quantum Computing (ICoCQ) held in Paris at the end of November 2018, the papers presented there, as well as discussions with scientists, on the other, we identified crucial characteristics of the Race for Quantum. All these elements must be seen in a dynamic light for analysis, i.e. data need to be collected over time. We shall need to integrate as many as possible of these specificities in a state of play to make it meaningful in terms of race. This will then allow us properly monitoring the race. It should be highlighted, however, that scientific discovery and engineering creativity is not necessarily a consequence of the amount of funding available or of the number of academic papers published. If the two latter elements are useful measurements of the degree of commitment of actors to QIS, and potentially increase the odds to see the most committed being at the top of the race, there is also no fatality here. Revolutionary way(s) forward in QIS may very well emerge from a small lab and/or from a genius not (yet) integrated within the race or integrated as a small player. “A network [or graph] is a set of items,… vertices or sometimes nodes, with connections between them, called edges” or ties. (Mark Newman, “The Structure and Function of Complex Networks“, SIAM Review 56, 2003, 167–256, pp.168-169). As a result, we shall be able to benefit from graph theory – should it be needed – as well as from related tools. In our case, we shall use open source and free Gephi, which is a “visualization and exploration software for all kinds of graphs and networks”, as indeed it also allows for dynamic graph analysis, which is necessary for our purpose. This is the same software we use to map issues and for influence analysis for scenarios, as well as to identify indicators for warning. When mapping the race to quantum, one measure of the importance of the actors will be expressed through the size of the nodes, ranked according to the funding received. In other words, the more funding an actor or a framework receives, the larger the node. All other nodes are resized accordingly. For mathematically savvy readers, this means that the size of the nodes is ranked according to weighted in-degrees. Similarly, the thickness of the edge (the arrow linking nodes) represents the yearly amount of funding and varies relatively according to all the yearly amounts of funding of the mapping. Considering the scope and breadth of the map, we here focus only on a couple of actors, which also aims at demonstrating the interest of using dynamic graph and integrating the characteristics identified above. We shall first detail the Netherlands, QuTech and QuSoft map, to which we added the EU funding to be complete. We shall then add a partial mapping for Germany, focusing exclusively on the latest government’s decision regarding a comprehensive framework, but not fully detailing all German actors. We shall then add similarly the U.S., again focusing on the American Government effort at launching a Quantum Comprehensive Framework, thus including neither unknown military and classified efforts, nor private involvement. Then, again for the sake of comparison, we shall add as exhaustively as possible China, using mainly the excellent report made by Elsa B. Kania and John K. Costello for CNAS. These data should ideally be revised to include a couple of other elements missing, either related to our framework or to evolutions that took place since the CNAS report was published. Then to give at least one example of the importance of private high tech research we shall include American IBM. Finally, because we have here a potential disrupter of the race, notably when the competition will be in its later stages, we shall add the Mega High Tech Fund Vision Fund, launched by Japanese Bank Softbank. Our first mapping will focus upon the Netherlands, QuTech, using the data and sources detailed above, as well as later efforts, this time in terms of developing Quantum Software through the dedicated research center QuSoft. The Netherlands being located in the EU, we also need, to get a proper mapping, data related to EU investment in Quantum, as detailed below. Edges are weighted according to yearly funding, in million of USD (converted at the time of writing), when data is available. When it is not, then a weight of 1 is attributed to show the existence of a relationship. Only committed funding in programs are taken into account, which explains why some edges disappear over time. For the period 2010 2028 the Race to Quantum for the Netherlands, QuTech and Qusoft, considering the characteristics listed above 1 to 5, as well as 9 (dynamics) looks like the video below. Prior to the launch of a coordinated strategy, according to Freeke Heijman-te Paske (Ibid, slide 8), the EU, through various programs of the European Commission spent on quantum technologies: €17.5 ($19.9) million between 1997 and 2002; €30.5 ($34.7) million between 2002 and 2007; €45.6 ($51.8) million between 2007 and 2014; €31.8 ($36.2) million between 2014 and 2018. On 29 October 2018, the EU launched its Quantum Flagship, which is a €1 billion ($1.1476 billion) and 10 years initiative. However, the EU funds only half of the overall amount and the home country of the labs applying for funding will have to finance the other half (Davide Castelvecchi, “Europe shows first cards in €1-billion quantum bet“, Nature, 29 Oct 2018). Thus, the purely EU funding is truly only equal to €500 million over 10 years. The EU Quantum Flagship is built around five dimensions: “Quantum Communication (QComm), Quantum Computing (QComp), Quantum Simulation (QSim), Quantum Metrology and Sensing (QMS), and finally, Basic Science (BSci)”, which slightly differs from the U.S. approach, but where we, nonetheless, find the same fundamental areas (White House, National Strategic Overview For Quantum Information Science, 2018). For the “ramp-up” phase, which should last three years, i.e. until September 2021, 20 projects were selected with an overall budget of €132 million, across all quantum technologies (press release). Out of the €100 million, or rather €50 million, per year available over 10 years, the €132 million ($150,4 million) funding for the first 3 years would mean that €168 million (84 for the EU and 84 for the member states) have not been yet invested. One may wonder why there is such a discrepancy, and what is the way forward. This could potentially start highlighting two related problems that could hit regions, countries and companies unequally: first the relative absence of talents and second the lack of an ecosystem that is thriving enough to be conducive to proper research and innovation in the field, and to applications and usage. In the specific case of EU funding, the notoriously heavy, complicated, costly and peculiar procedures to apply for funding, even more so in the case of the Flagship if it has to be paralleled by a similar process within member states, may also play its part. “Today, fewer than one in 10,000 scientists, and even fewer engineers, have the education and training necessary to leverage quantum tools”. Thus, educating scientists, engineers as well as more broadly potential users for quantum technologies is fully a part of the race to quantum and could derail best efforts if not considered. In August 2018, Germany announced a €650 million quantum initiative ($ 745,9 million – rate 7 Nov 2018), the framework program “Quantentechnologien – von den Grundlagen zum Markt” (Quantum technologies – from basics to markets – see the official 48 pages pdf), which covers the years 2018-2022, i.e. four years (see also Andreas Thoss, “€650 million for quantum research in Germany“, LaserFocusWorld, 28 September 2018). This program is a combined effort of the German Federal Ministry of Education and Research BMBF, the Ministry of Economics, the Ministry of the Interior, and the Ministry of Defence (Thoss, Ibid.). Added to €100 million per year ($114,7 million) of governmental research funding for quantum research (ibid. ), Germany thus is investing €262,5 million per year ($301,24 million) in QIS. To this should be added the funding that will be provided by the EU Quantum flagship (see above). Interestingly, and in line with our point regarding the importance of understanding and imagining a future Quantum world, as well as the necessity to develop a Quantum educated workforce, the German framework includes a dimension related to the explanation of QIS to people (Ibid.). The U.S. has been supporting quantum research over the last 20 years (Interagency Working Group in QIS, “Advancing Quantum Information Science: National Challenges And Opportunities“, 22 July 2016). More recently and progressively, it started building its support into a more concerted effort. In 2009, the U.S. developed a “Federal Vision for Quantum Information Science”. Then, a federal inter-agency coordination on quantum research, the Interagency Working Group in QIS, was chartered in October 2014 (Olivier Ezratty, “Qui gagnera la bataille de l’ordinateur quantique ?“, La Tribune, 25 July 2018). It aimed at developing and coordinating policies, programs, and budgets for QIS research and included “participants from the Departments of Commerce, Defense, and Energy; the Office of the Director of National Intelligence; and the National Science Foundation” (Request for Information on Quantum Information Science and the Needs of U.S. Industry, 2015). As a result of these and other programs, in 2016, “federally-funded basic and applied research in QIS” was “on the order of $200 million a year” (Interagency Working Group in QIS, “Advancing Quantum Information Science:…). Note that Freeke Heijman-te Paske (Ibid.) estimates the American yearly funding in 2015 to €360 million (approx $409 million), which is twice as much as what the American Interagency Working Group estimates. We shall use the American figure, considering the absence of sources in the Netherlands’ document. Finally, in the Fall of 2018, the QIS truly started benefiting from a national strategy across not only Federal agencies but also industries, what we call here a comprehensive framework. It is highly likely that the rising tension with China, and Chinese efforts and success in the field and in other emerging crucial high tech areas such as AI played their part in the American concern. On 24 September 2018, the White House Office of Science and Technology Policy (OSTP) conveyed a meeting for “advancing American leadership in quantum information science” (QIS), which gathered “administration officials”, including “officials from the Pentagon, National Security Agency, White House National Security Council, NASA and the federal departments of energy, agriculture, homeland security, state and interior, “academic experts in the field of quantum information science and leading companies including Google and IBM”, as well as “JPMorgan Chase & Co”, “Honeywell International Inc, Lockheed Martin Corp, Goldman Sachs Group Inc, AT&T Inc, Intel Corp, Northop Grumman Corp” (Nick Whigham, “The international race to build a quantum computer heats up with White House summit“, news.com.au, 25 September 2018; David Shepardson, “Key companies to attend White House quantum computing meeting”, Reuters, 24 September 2018). On that day the White House published the National Strategic Overview For Quantum Information Science, which aims to “maintaining and expanding American leadership in QIS to enable future long-term benefits from, and protection of, the science and technology created through this research…“. A couple of days before, on 13 September, the House of Representatives approved the “H.R. 6227: National Quantum Initiative Act” to “provide for a coordinated Federal program to accelerate quantum research and development for the economic and national security of the United States”, and “authorize three agencies—the Department of Energy (DOE), the National Institute of Standards and Technology (NIST), and the National Science Foundation (NSF)—to together spend $1.275 billion from 2019 to 2023 on quantum research”, i.e. during the first five years of the 10 years initiative (Gabriel Popkin, “Update: Quantum physics gets attention—and brighter funding prospects—in Congress“, Science, 27 June 2018). Meanwhile, the Department of Defence (DoD) also plays a role in promoting and developing QIS under its own budget (Will Thomas, “Trump Signs National Defense Authorization Act for Fiscal Year 2019″, American Institute of Physics, 17 August 2018). Without counting the Pentagon, we thus have a yearly spending of $255 million, i.e. a 27.5% increase compared with the 2016 overall QIS estimated yearly spending. Besides or rather with this Federal program, the U.S. is home to a large number of the biggest companies working on QIS – Alphabet (Google), Intel, IBM, Honeywell, Hewlett Packard, Microsoft, AWS (Amazon), as well as successful and promising startups such as Rigetti, and IonQ. The data for China are taken from the excellent report by Elsa B. Kania and John K. Costello, QUANTUM HEGEMONY? China’s Ambitions and the Challenge to U.S. Innovation Leadership, CNAS, September 2018. To these, we added the estimate of Freeke Heijman-te Paske for 2015 that we tentatively evaluated to last, besides other newer funding, considering China’s declared intention to become a leader in new technologies, including QIS. “It is planned to invest 100 billion yuan in five years [$14.39 billion over 5 years, i.e. $2.878 billion per year] for the National Laboratory of Quantum Information In Hefei” Pan Jianwei Introduction. Reporter Zhang Pei, Anhui Business Daily, 24 May 2017. Besides these state and public fundings, the Chinese High Tech giants are also committing themselves to QIS, notably Ali Baba and Baidu (Kania & Costello, Ibid.) (these are not included in the mapping at this stage). Meanwhile, efforts to develop applications for QIS are promoted from the provinces’ administrations to the People’s Liberation Army (PLA), including through the civil-military fusion’s approach, and through the very large military consortiums (Kania & Costello, Ibid.). As we see with each of the actor we added to our mapping, the outlook of the race changes considerably. What is particularly interesting with the use of a dynamic graph to visually map actors is that what by and large remain very large amounts of money we have some difficulty to truly comprehend, now become immediately comparable and understandable. Indeed the use of weighted edges and weighted in-degrees for the size of the actors implies that comparisons are automatically embedded in the visual outlook of the map. Meanwhile, the number of nodes, here mainly research labs and governmental programs, help us better grasping the idea of ecosystems. To give a better idea of the types of competing and collaborating actors and of the stakes involved, despite our still very incomplete map, we shall add one private IT actor. We chose IBM, notably because it is one very advanced player in terms of QIS. IBM, an American company, started researching quantum computing around 1996 (“IBM unlocks quantum computing capabilities, lifts limitations of innovation“, 4 May 2016). On 4 May 2016, it launched IBM Quantum Experience (News Release). Through this cloud platform, it made available to the public and clients its quantum computers, thus allowing for their use, which is fundamental in the race to quantum as we saw. In 2017, IBM quantum computing research became IBM Q, a new division. In December 2018, two 5 Qubits and one 14 Qubits computers are available for public usage, and one 20 Qubits computer is reserved for clients, while a 32 Qubits simulator is also online (IBM Q). According to IBM annual report (published April 2018), “more than 75,000 users have run more than 2.5 million quantum experiments. A dozen clients, including partners JPMorgan Chase, Daimler AG, Samsung and JSR, are now exploring practical applications”. In November 2018, according to IBM data, as shown on the screenshot below, 572,945 experiments were run by various users on their machines (IBM Q Experience). According to Harriet Green, chairman and CEO of IBM Asia Pacific, “Just in the last five years, IBM has invested over $38 billion in these new capabilities” (Jessa Tan, “IBM sees quantum computing going mainstream within five years“, CNBC, 30 March 2018). Now the Race to Quantum looks as displayed in the video below. 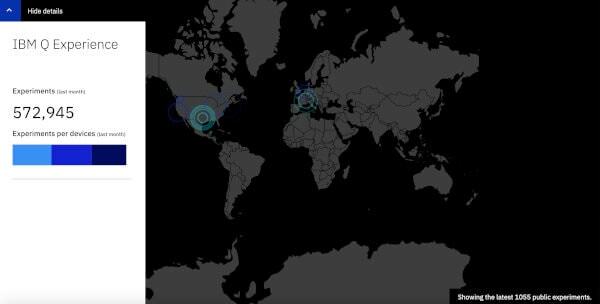 The video shows the current predominance of the U.S., thanks to its giant IT industry. Adding the Chinese no less giant digital companies, considering notably their efforts to also offer quantum computing on cloud platform (e.g. Alibaba-CAS Superconducting Quantum Computer – SQC), thus competing directly against IBM, as well as accounting for other elements and characteristics of the race, could again change the outlook of the race. For now, let us turn to another type of actor, finance and more specifically funds. Over 2016 and 2017, the controversial Japanese Softbank created the mega high tech $100 billion “Vision Fund” (Jonathan Guthrie and Sujeet Indap, “Lex in-depth: SoftBank’s credibility problem“, The Financial Times, 17 December 2018). Notably, Softbank is the major shareholder of nothing else than Chinese Ali Baba, and held 29.11% of the giant Chinese company on 2 November 2018 (Kristina Zucchi, “The Top 5 Alibaba Shareholders (BABA)“, Investopedia). Announced on 14 October 2016, Vision Fund‘s first major close occurred in May 2017, and its final close in May 2018 (Arash Massoudi, Leo Lewis, and Patrick McGee, “Daimler leads new investors in closing $100bn Vision Fund“, The Financial Times, 10 May 2018). At the origin of Vision Fund was the meeting of Masayoshi Son, the billionaire Japanese technology investor, founder, Chairman and CEO of Softbank and Saudi Prince Mohammed bin Salman al-Saud, also known as MBS (Arash Massoudi, Kana Inagaki, and Simeon Kerr, “The $100bn marriage: How SoftBank’s Son courted a Saudi prince“, The Financial Times, 19 October 2016). As major investors, we thus find not only the Saudi Kingdom but also the U.A.E., two major Gulf countries that must diversify from oil. The fund is “backed by a $45bn commitment from the [Saudi] kingdom’s Public Investment Fund”, which represents 45% of the total ($17 bn in equity and $28 bn in debt), and by a $15 billion commitment from the U.A.E. Abu Dhabi’s Mubadala Investment Company, i.e. 15% of the total ($9.3 bn in debt and $5.7bn in equity) (Andrew Zhan & Adam Augusiak-Boro, “SoftBank: Vision or Delusion”, Equity-Zen, August 2018, using 2017 FT research data). The linkages between Softbank and Saudi Arabia are strong enough to have been reaffirmed on 5 November 2018, despite the Khashoggi affair (Kana Inagaki, Ibid.). Other investors range from Apple to Daimler through Taiwanese Foxconn (Massoudi et al., “Daimler…”, Ibid.). Vision Fund is the “world’s largest technology” fund (Kana Inagaki, “SoftBank reaffirms investment ties with Saudi Arabia”, The Financial Times, 5 November 2018). It already holds 25 % of ARM, the UK chip maker, as an in-kind contribution of Softbank. Incidentally, note that ARM is one of the candidates to be chosen by the European Processor Initiative (EPI) in the race to exascale computing (Leslie Versweyveld, “The European Processor Initiative (EPI) to develop the processor that will be at the heart of the European exascale supercomputer effort“, e-IRG, 10 April 2018; Helene Lavoix, “Winning the Race to Exascale Computing – Artificial Intelligence, Computing Power and Geopolitics (4)“, The Red (Team) Analysis Society, 24 September 2018). Although Vision Fund is interested in all technologies that could “accelerate the information revolution” and not specifically quantum ones (website), considering its size, and the amount of the minimum investment it makes (Andrew Zhan & Adam Augusiak-Boro, “SoftBank: Vision or Delusion”, Equity-Zen, August 2018), it could nonetheless have a mammoth impact on QIS. “We are happy to invest enough to create that standard around which the whole industry can coalesce,” Shu Nyatta, Vision Fund, reported by Bloomberg, Ibid. The impact could be all the more important that a second fund for another $100 billion seems to be planned, where Saudi Arabia would again equally invest (Riad Hamade, Matthew Martin, and Archana Narayanan, “Saudi Arabia Doubles Down on SoftBank Bet With Extra $45 Billion“, Bloomberg, 5 October 2018). As Vision Fund does not seem to have yet invested into QIS, it is included in the mapping only as a “ready to enter the race” actor. It should not be ignored, however, because it is a potentially very disruptive player considering its weight and its investors. Indeed, we may wonder about the potential political, strategic, financial and industrial consequences to see Vision Fund entering massively into the capital of a security sensitive company, or not entering in its capital but favouring a competitor, for example from an adversary country. The potential and changing clout of Saudi Arabia and of the U.A.E. should also be highlighted and deserves a fully detailed strategic analysis (forthcoming). Here is thus our mapping including the mega Vision Fund. Note that Vision Fund’s edges correspond to capital investments and not yearly investments or fundings as for the rest of the mapping. We nonetheless, for the fund, kept it this way as capital investment also represents continuous influence and future profits. Throughout these mappings, we have shown the complexity of the race for quantum technologies, highlighting the importance of mapping it with a proper tool. Further analysis and conclusion would demand to complete the mapping, as well as to fully include all the characteristics of the race. Considering the stakes, this is a tool each player should use before to take decisions for their strategy. Featured Image: “Majoranas on Honeycomb” by Jill Hemman – ORNL Art of Science images feature visualization effects, neutrons research – 2018 Director’s Choice -This visualization illustrates neutrons (blue line) scattering off a graphene-like honeycomb material, producing an excitation that behaves like a Majorana fermion—a mysterious particle that is also its own antiparticle (green wave). The visualization supports research by Arnab Banerjee, Mark Lumsden, Alan Tennant, Craig Bridges, Jiaqiang Yan, Matthew Stone, Barry Winn, Paula Kelley, Christian Balz, and Stephen Nagler. Public Domain. “CAS Academician is a guest at the Hefei Municipal Committee Central Group Theory Study Conference on Quantum Communication” [中科院院士做客合肥市委中心组理论学习会讲量子通信], Anhui Business Daily, May 24, 2017 . Crane et al., Assessment of the Future Economic Impact of Quantum Information Science, IDA, August 2017. Congressional Research Service, Federal Quantum Information Science: An Overview, 2 July 2018. Kania, Elsa B. & John K. Costello, QUANTUM HEGEMONY? China’s Ambitions and the Challenge to U.S. Innovation Leadership, CNAS, September 2018. National Academies of Sciences, Engineering, and Medicine. 2018. Quantum Computing: Progress and Prospects. Washington, DC: The National Academies Press. https://doi.org/10.17226/25196. How do you account for black-budget money for covert QC programs that have surely been in place for many years? To ignore covert programs that have virtually unlimited budgets seems rather more than an oversight on the author’s part. I saw the same problem in Kai-Fu Lee’s recent book on AI. He treats AI as happening in a complete vacuum of covert programs. Thanks for your comment. Covert programs being by essence covert, they are not part of what can be considered with open source public data, and in public analyses. However, as the same treatment is given for each actor, this reestablish a measure of equity. This is a fact of research, one never has access to all elements and data. For example, many sources and documents remain classified over decades. What matters is to obtain a framework that is as representative as possible from reality, and good enough to allow for understanding, for good enough assessment and then, as a result, for proper response.